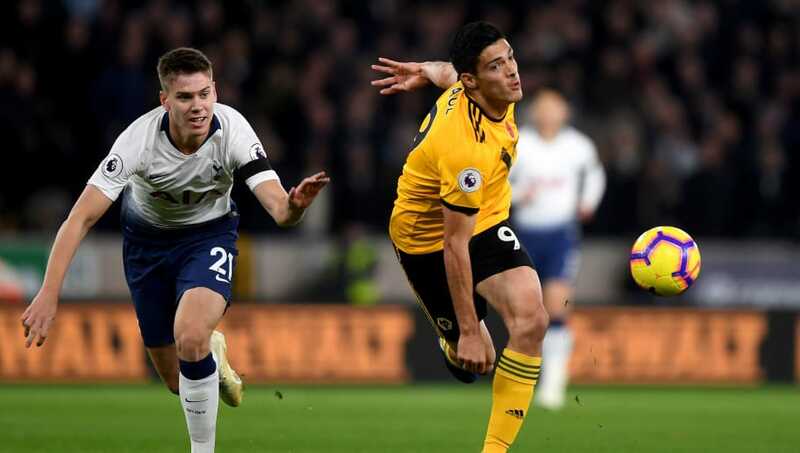 Tottenham held on to survive a late scare at the Molineux as they conceded two second half penalties to go level on points with Chelsea in third place. Spurs looked to have wrapped the game up on the hour mark as Harry Kane gave his side a three-goal lead, with Erik Lamela and Lucas Moura scoring early in the first half. 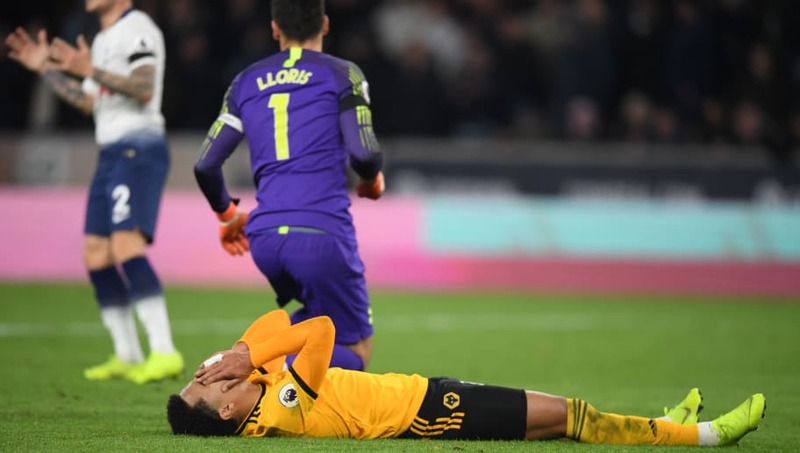 Wolves mounted a spirited comeback as captain Ruben Neves and Raúl Jiménez converted from the spot, though a third goal evaded the hosts. A statistic mid-way through the first half showed that Harry Kane had taken the fewest touches on the pitch; not all that shocking at that stage of the game considering Moussa Dembélé had limped off the pitch after seven minutes and still had taken more touches than Kane, providing a clear indication of the striker's isolation up top. With the game becoming more stretched in the second half, Kane's influences on proceedings grew as Spurs found their talisman earlier and got runners around him. The striker's predatory instincts earned him his goal as he dispatched a rebound high beyond Rui Patricio, before nearly adding a second with a trademark curling effort that was well saved by the Portuguese keeper. Spurs must identify a way of getting the ball to the striker more often, because when they do they become a far more potent threat. Erik Lamela's first team opportunities this season have largely come as a result of Heung-Min Son's exploits for his national side and Dele Alli's injury problems. The Argentine, who has had his fair share of injury issues, has taken his game up a level this season and looks more like the player Spurs thought they had signed from Roma back in 2013. This season he has six goals and three assists in 11 appearances, and has been Spurs' go-to man in attack with Kane misfiring after a scintillating showing at the World Cup. With Alli nearing a return to action, Lamela has shown he deserves more than just a back-up role in the creative midfield position in Pochettino's system. Despite conceding three, Nuno Espirito Santo will be pleased by his side's display. 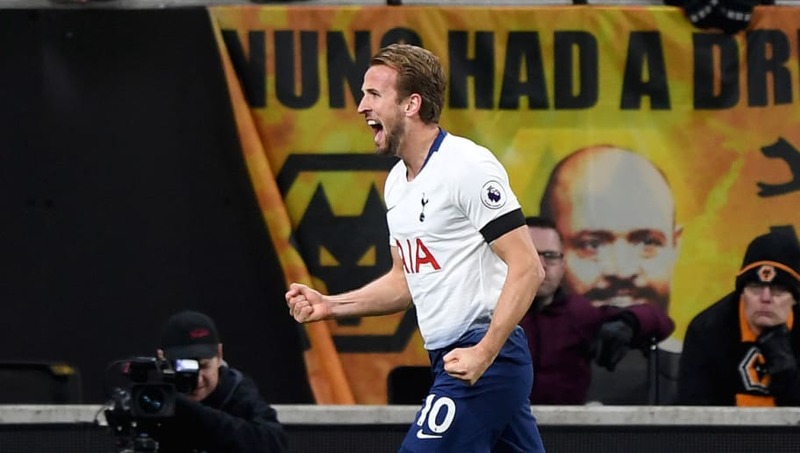 Many newly promoted teams would have let their heads drop when Kane notched the visitors' third, though Wolves rallied and will consider themselves hard done by to come out of Saturday's clash with nothing to show for their efforts. Santo's players will feel a poor offside decision in the first half may have cost them the game, though in truth, better finishing from the Premier league new-boys would've seen them take all three points comfortably. The pace of Helder Costa and Ivan Cavaleiro out wide, paired with Raúl Jiménez's endeavour will provide stern tests of many a Premier League defence over the course of the season. Juan Foyth was given his first start in the Premier League for Spurs with Mauricio Pochettino 's gaze firmly fixed on Tuesday's Champions League clash with PSV Eindhoven. The young Argentinian impressed alongside Toby Alderweireld in the first half and looked untroubled for the majority of the game, though two lapses in concentration late in the second half demonstrated both his inexperience and the lack of squad depth available to Pochettino after the summer's well-documented transfer fiasco. Pochettino however will be happy on the whole with the 20-year-old's showing, despite a potential banana skin for his side.